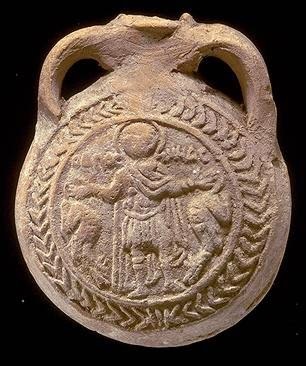 A common theme here has long been diglossia, the problems created by the dichotomy between the spoken Arabics learned at one's mother's knee, and Modern Standard Arabic, the "Classical" or literary language used for writing and formal speech. "School in a Language You Don't Speak.". But once control of Palmyra is consolidated, where does the war against ISIS go from here? 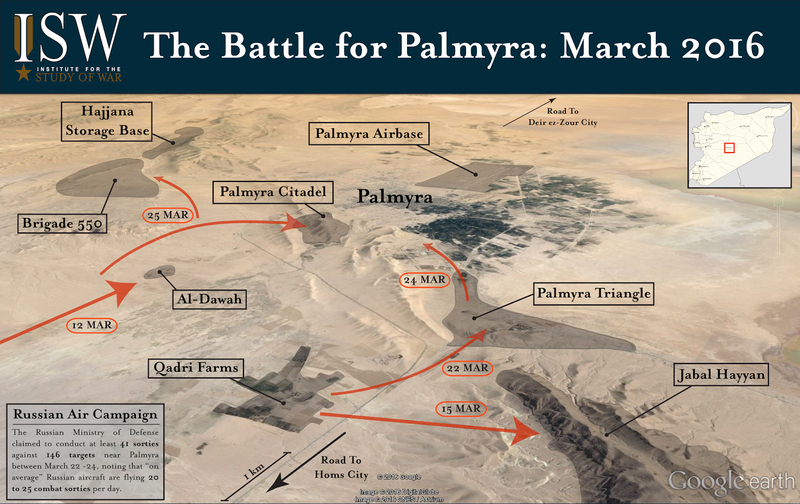 Syrian pro-government media are pointing in two directions from Palmyra: toward Qaryatayn to the southwest, and toward reopening the road to Deir al-Zor to the northeast in an effort to lift the ISIS siege of the Syrian Army garrison there. Syrian forces were already pushing toward Qaryatayn from the west; a column from Palmyra could provide additional pressure. But Syrian reports also say that forces from Palmyra are advancing in the direction of Sukhna, which would suggest an effort to clear the road to Deir al-Zor. It is also claimed that the besieged forces in Deir al-Zor are pushing westward. If Syrian forces could clear the motorway to Deir al-Zor, they would end the siege, and open a route to the Euphrates, and also find themselves 140 kilometers downriver from the IS capital at Raqqa. Raqqa would then be vulnerable from the expanding area of regime control around eastern Aleppo, the YPG forces already threatening Raqqa from the northeast, and a potential column advancing upriver from Deir al-Zor. As an aside they have presumably also recovered the notorious Tadmur Prison, once the regime's most notorious. 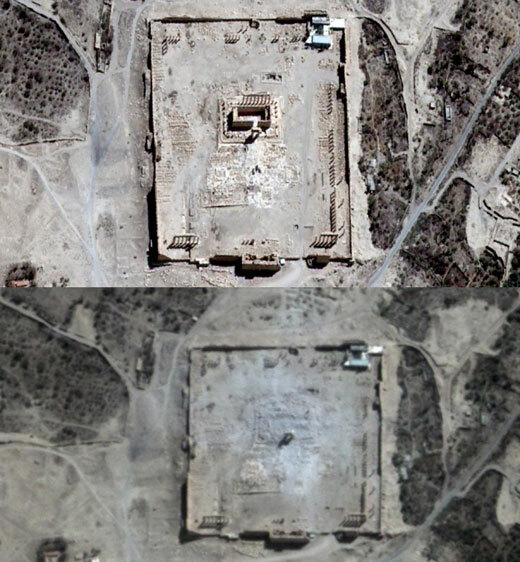 Now that the Islamic State has been driven out of Palmyra, there have been some reports suggesting that the damage to the ancient site is not as bad as had been feared. We also know that the Temple of Baalshamin and the Great Triumphal Arch (above) were also turned to rubble. ISIS also destroyed several tower tombs which, like the temples, they considered idolatrous. But the amphitheater received little damage, though it reportedly was used for executions, and while some exhibits in the museum were smashed, others are said to be intact. Russia has released drone footage showing the site from the air. The first version, from RT, is in English without commentary; the second has fuller commentary in Russian, which I don't speak but some readers will. 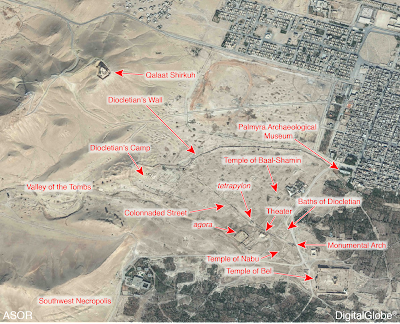 Finally, I add an ASOR aerial shot of the site before ISIS for comparison. Egyptian Police Say Regeni Killing Was Done by a "Criminal Gang" Disguised as Police, But the Gang is All Dead Now, So, Case Closed? From the time Italian graduate student Giulio Regeni was found tortured and killed, the police have offered several explanations, but most have been dismissed or denied by prosecutors investigating the case. The latest explanation goes like this: Regeni was kidnapped by a gang who dressed as policemen to abduct and rob foreigners. (Are other foreigners missing?) The police raided the gang's hideout and found Regeni's passport and other belongings. Conveniently the gang were all killed in the resulting firefight. Therefore, case closed, right? The fact that the police have produced Regeni's passport could, of course, be just as easily explained if, as many suspect, they were responsible for his death. The Ministry of the Interior, which supervises the police, has given confused accounts of whether the gang was responsible. Blogger Zeinobia raises some of the obvious questions. Nor is Italy satisfied. The whole thing seems too convenient, and now the Interior Ministry says the investigation is ongoing. I don't think this case is closed, however much the police may want it to be. I'm a day or two late with Purim wishes and two days early with Easter wishes for those celebrating on the Western date. 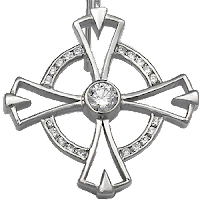 (Orthodox Easter is not until May 1 this year, five weeks, the maximum distance apart the calendars permit I believe.) Greetings for both occasions. Traditionally the Persian New Year Nowruz is celebrated with the Haft Sin table of seven items beginning with the letter "s," plus other traditional items such as the poetry of Hafiz and a live goldfish in a bowl. The goldfish are usually released into the wild at the end of the feast, where they are unlikely to live long. Many have called for a symbolic substitute, such as using a plastic fish. Iranian President Hassan Rouhani's Nowruz greetings on Twitter included a photo of himself standing next to a Haft Sin table adorned with a goldfish bowl containing what appears to be an orange in place of the goldfish. On her Twitter feed, Vice President Massoumeh Ebtikar also called attention to the substitution, and to the fact that the bowl contains very little water. Rouhani will be eligible for a second term in the 2017 Presidential elections. Is he vying for the PETA and Save Water vote? Al-Safir, one of Lebanon's two biggest newspapers, announced just a week ago that it was considering major cutbacks; yesterday it announced that it is ceasing publication altogether, print and online, on April 1. Lebanon's other big paper, Al-Nahar, has previously said it might consider going to an online-only version and dropping the print version. 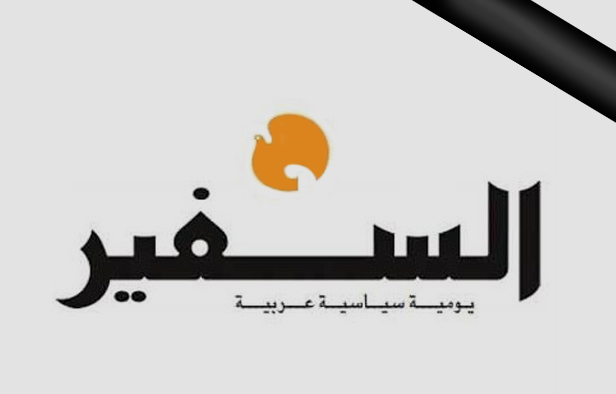 The two have been rivals: Christian-owned Al-Nahar, founded by the Tueni family in 1933, was a liberal-centrist paper staunchly opposed to Syrian influence in Lebanon, while Al-Safir, with a leftist orientation, long supported Syria. The Lebanese media are suffering from Lebanon's economic woes and political paralysis (symbolized by the failure to elect a President or even collect garbage in Beirut), as well as the decline of print journalism worldwide. 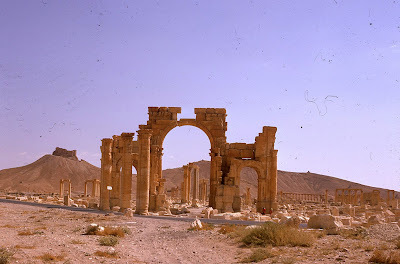 Syrian state media are reporting that Syrian Army elite troops and their Hizbullah allies are on the verge of recapturing the city of Tadmur and the ancient ruins of Palmyra. Tadmur/Palmyra have been controlled by the Islamic State since May 2015, and their capture of Palmyra also cut the regime's supply line to the last regime garrison in eastern Syria, at Deir al-Zor. 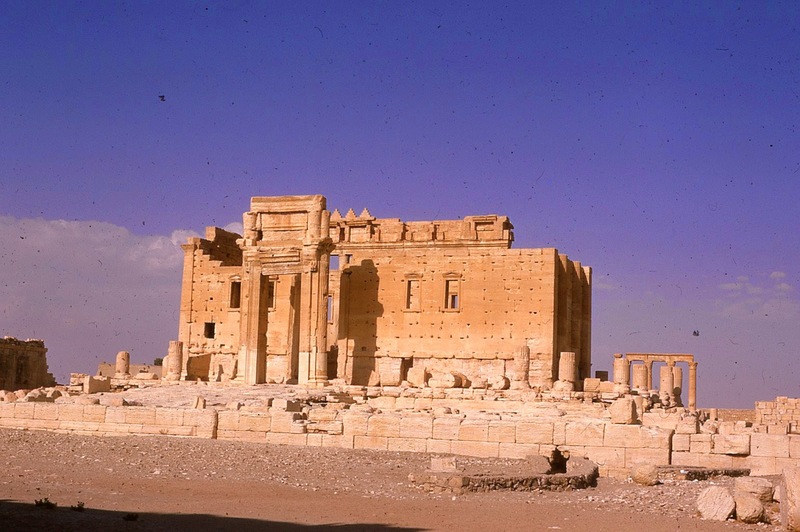 The subsequent destruction of ancient temples at the UNESCO World Heritage Site at Palmyra by ISIS provoked international outrage. Deir al-Zor has been besieged by ISIS and resupplied only by Syrian and Russian air drops, but the fall of Palmyra could open the possibility of a rapid advance to open the road; the distance is 200 kilometers across generally open desert. According to pro-regime reports, the attacking force of the Syrian Army includes the Tiger Forces and Desert Hawks units of Special forces, and Syrian Marines and Hizbullah allies. 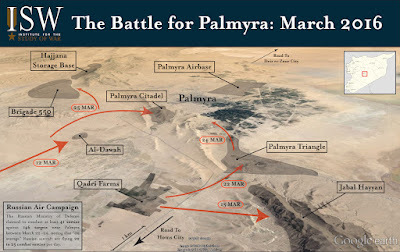 They claim to have surrounded Palmyra on the south and west and to have cut ISIS' line of supply and communication, including the Deir al-Zor road. The Brussels attacks have been met with several disturbing responses from US Presidential candidates, particularly Donald Trump and Ted Cruz, raising questions about Muslim communities in the West. It is perhaps a good time to repeat that the whole purpose of terrorism is to spread terror, that Muslim countries are struggling with terrorist bombings as well (consider Turkey), and that if we descend into fear and suspicion we are doing exactly what the Islamic State wants. ISIS has lost much territory on the battlefields in Syria and Iraq, and these overseas terror attacks are a means of minimizing the effect of that. Let's stay level-headed, vigilant but not panicked. Five years ago last week, Gulf Cooperation Council troops from Saudi Arabia and the UAE poured across the causeway into Bahrain, the only GCC state to experience a large-scale outbreak of protest during "Arab Spring." 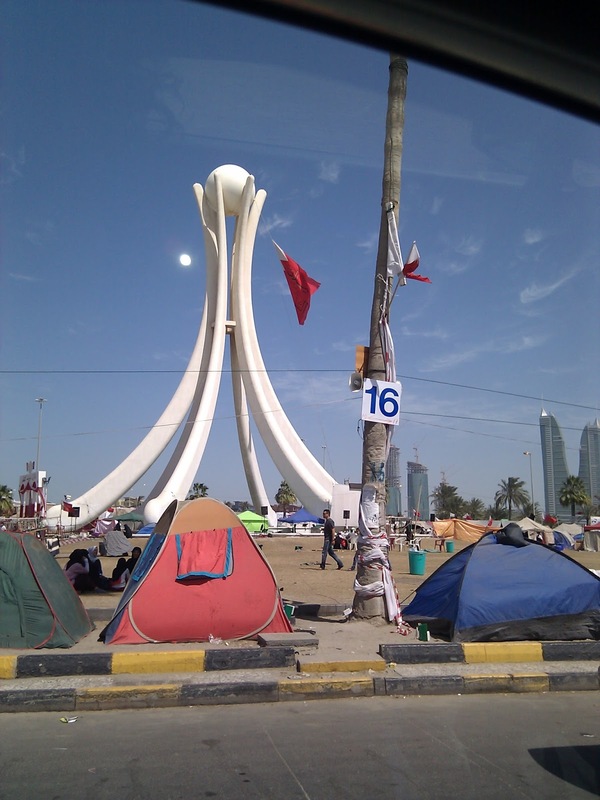 Within a week, demonstrators had been cleared from the Pearl Roundabout, center of the protests. Although protests have never completely disappeared, the Bahraini Spring was over. The GCC had made clear that if one of their member states is threatened internally, the others were prepared to intervene in favor of the status quo. The intervention was, at the time, a rare case of GCC military assertiveness except in the liberation of Kuwait in 1991. Today, with GCC forces (except for Oman) engaged deeply in Yemen and having flown missions in Libya,the Bahrain intervention seems, in retrospect, to have been something of a turning point. 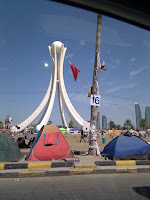 On March 18, 2011, the Pearl Monument in the roundabout, which had become the rallying point of the protests, was torn down by government forces. Soon after, the roundabout itself was replaced with a junction with trafic lights. Nowruz greetings to all readers who celebrate the ancient Persian new year, Iranians, Kurds, Central Asians, Turks, and others. 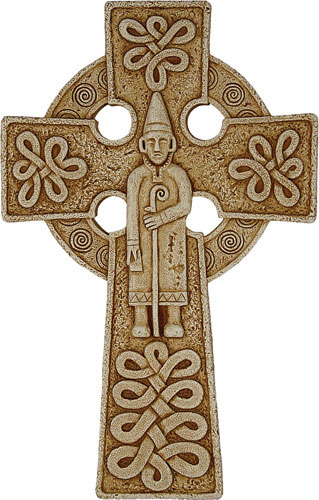 Happy Saint Patrick's Day in this centennial year of the Easter Rising. Mark N. Katz, "Interpreting Putin's Surprise Move in Syria." MEI, "Randa Slim on Russia's Decision to Paerially Withdraw from Syria." 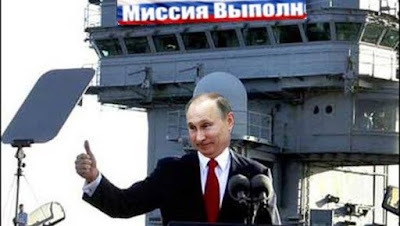 Alexander Titov at Juan Cole's blog: "Why is Putin Really Withdrawing from Syria?" Geoffrey Aronson, MEI, "Moscow and Washing5on Not that Far Apart on Syria." Simon Saradzhyan, The Boston Globe, "What Russia Won in Syria." The first word seems to be "Mission" so I assume the banner reads Mission Accomplished." But Putin's not in a flight suit. Hossam Bahgat, the Egyptian regime critic who was jailed for a time and recently reused permission to travel, has a rather daring article at Mada Masr documenting the direct role played by Egyptian General Intelligence in creating the pro-Sisi coalition that dominates the new Parliament. This article is unlikely to sit well with the government. I think this article is essential and will be widely cited. Putin Says Russia Beginning Withdrawal from Syria: Mission Accomplished? I know blogging has been light the past couple of weeks due to deadlines for our Spring issue. I hope to do more this week. What are we to make of Vladimir Putin's surprise announcement that Russia is beginning to withdraw its military forces in Syria? Well, obviously no one knows since everyone was caught off guard. Putin did say that Russia would maintain its air base and naval base, which implies that airstrikes, much reduced in the present ceasefire, might be resumed. Until we see what residual force remains, judging the meaning of the move is difficult. Meanwhile, Russia can claim to be supporting the peace talks. Arguably, the gains made by the Syrian Army and its allies with Russian air cover have sufficiently transformed the battlefield to permit withdrawal, but I think a suspension of judgment until the scope of the withdrawal is clearer, would be well-advised. 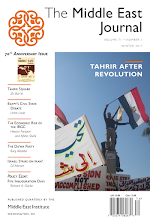 Two recent articles by two skilled observers capture aspects of Egypt's current predicament and Cairo's malaise. I recommend both. Joshua Stacher at MERIP: "Egypt: Running on Empty." Ursula Lindsey at The Nation: "Cairo: A Museum of Ghosts." I don't find it surprising, though it may defy some popular stereotypes. At a time when the other party's leading candidate advocates banning Muslims from entering the US, Sanders openly courted Arab-American support and denounced Islamophobia. This at a time when anti-Muslim hysteria is reaching record levels. 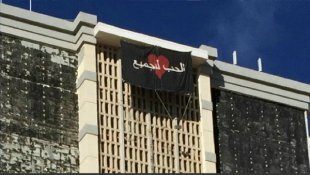 A case in point, though I didn't write about it at the time, occurred on Valentine's Day, someone put up a banner on a building in Lubbock, Texas reading, in Arabic, "Love for All." The Mayor called in the FBI and the Department of Homeland Security and blocked off several streets. Recently a teenager in California was stabbed, apparently for speaking Arabic, and in December I noted other incidents. Irbid, Ben Guerdane, Hilla: Signs ISIS is Resurgent, or on the Ropes? Within a matter of days, we have seen a cross-border raid from Syria into Jordan at Irbid, another cross-border raid from Libya into Tunisia at Ben Guerdane, and a deadly bombing at Hilla in Iraq (a largely Shi‘ite city). ISIS and its subsidiaries are certainly prime suspects. But given ISIS' battlefield setbacks of late, I would raise one question: is ISIS showing a resurgence, or are these the desperate attempts of a movement in retreat lashing out in an attempt to appear still relevant? I suspect it may be the latter. 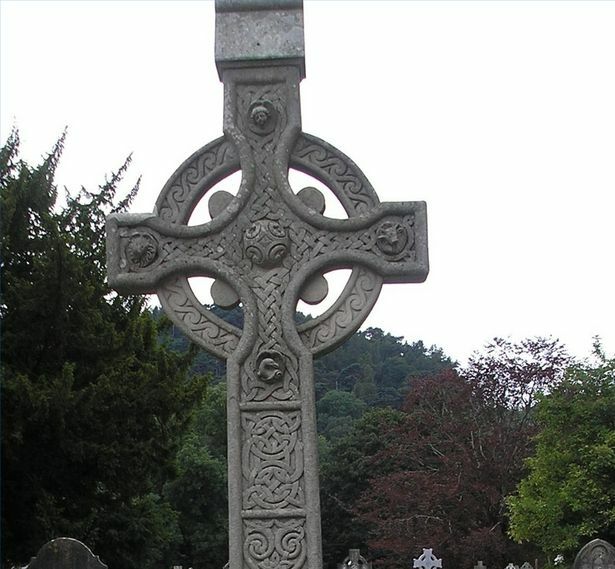 I rarely post on weekends, but the passing of Hasan al-Turabi demands comment. From the 1970s until today, in power or sometimes in prison, he was a major figure in Sudanese politics and society, and a major figure in the spread of Islamist ideology, especially in Africa. Educated in law in Khartoum, London, and Paris with a Ph.D. from the Sorbonne). He was active in the Sudanese wing of the Muslim Brotherhood, In the 1960s he transformed that into the Islamic Charter Front, becoming its Secretary-General. With the 1969 coup by Ja‘far al-Numeiri, Turabi was jailed and later exiled. He returned under a national reconciliation agreement in 1977, and in 1979 became Numeiri's Justice Minister/Attorney General. After Numeiri was overthrown in 1985, the democratic parties united to keep Turabi out of power. But not for long. After four years, in 1989, another military coup brought President ‘Umar al-Bashir and a military regime to power. It was soon clear that the ideology behind the coup was that of Turabi's movement, now known as the National Islamic Front (NIF). The NIF was essentially the real power throughout the 1990s. In various roles, including Speaker of Parliament, Turabi was the chief ideologue of the Bashir regime. In the 1990s, Turabi founded the Popular Arab and Islamic Congress as a sort of Islamist International, and Sudan was soon hosting a number of radical organizations, most famously including Usama bin Laden, but also Abu Nidal. This in turn led to international sanctions and an ostracism of Sudan, including a US air attack in 1998. In 1999, Turabi had a falling out with Bashir, and spent the following decade in and out of prison, and as an open critic of Bashir. Out of power he advocated democracy, but when in power in the 1990s he was part of a ruthless and oppressive regime and supported radical jihadis like Bin Laden. I didn't watch last night's Republican candidates' debate, but Juan Cole did, and he summarizes their Middle East policy with one of the best headlines ever: GOP Candidates up ante, Promise 4 Major Ground Wars, murder of Innocents, Large Genitalia. Several days into the quasi-ceasefire (officially, the "cessation of hostilities") in Syria, the fragile truce is holding despite multiple accusations of violations. The fact that ISIS and Jabhat al-Nusra are excluded from the cessation has meant that US strikes against ISIS and Russian strikes against both ISIS and Nusra have continued unabated. One irony is that, as the Presidential candidates in the US argue over who would be most effective against ISIS, ISIS is steadily losing territory. In Iraq estimates say it lost 40% of its territory on 2015, and in Syria 20%. Following the capture of Ramadi, Iraqi and Kurdish forces are preparing, with the help of US air power and allied militias, for the hard challenge of recapturing Mosul.In Syria and Iraq both, Kurdish forces have largely cut ISIS' supply lines from Turkey. Both the YPG from the north and the pro-regime alliance in the Aleppo area seem to be maneuvering for a campaign against the ISIS capital at Raqqa. I'm not saying there is light at the end of the tunnel, Mosul and Raqqa are not yet directly hreatened, but ISIS seems a far less potent threat than it did last year.